The Unify Center has officially opened it's doors. 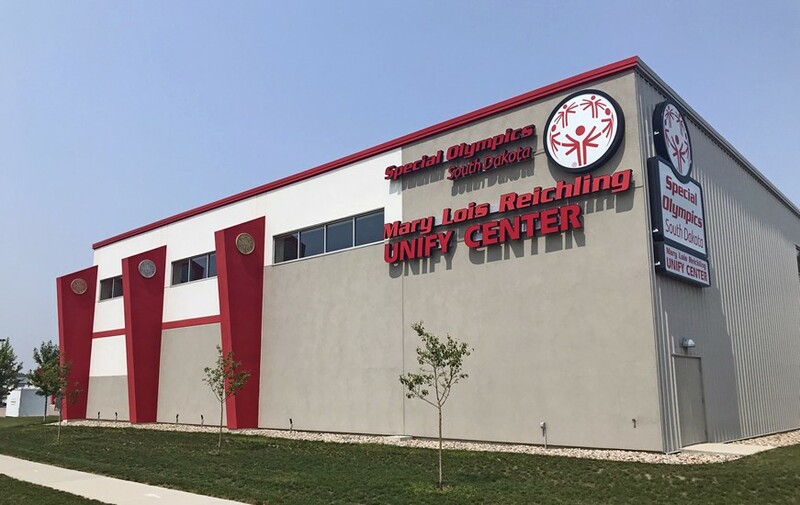 The Unify Center offers Special Olympics South Dakota athletes, unified partners, coaches, and volunteers a space where they don't have to wrestle for gym time. Not only is it a roof over their heads to overcome the outside elements but it also provides walls for a place of community so that the walls of inclusion can be broken down. This facility brings 16,000 square feet to the Sioux Falls area that is equipped with 2 basketball courts (6 basketball hoops), a commons area, kitchen, and locker rooms. The opportunity for many is now available to build understanding, respect, and most importantly, friendships. Unify is about becoming united or whole and that is the goal of the Unify Center. It is a place where the barrier of those with intellectual disabilities and those without is removed and everyone becomes unified as one common people. "The impact of the Unify Center extends beyond the athletes. It benefits our entire community through greater awareness of the Special Olympics mission, and through partnerships with schools, law enforcement, and other local non-profits."